These are suggested 7-14 Day Tours at a reasonable pace. If you wish to travel at a slower pace on your trip, please view our shorter tours and adapt to meet your needs. 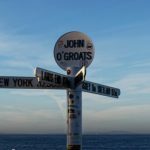 The NC500 has been classed as Scotlands answer to Route 66. Explore what this scenic Route has to offer to help you plan your campervan holiday. 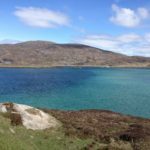 The best way to tour the Outer Hebrides is by campervan! Offering some of Scotland’s most spectacular island scenery with solitude and serenity.